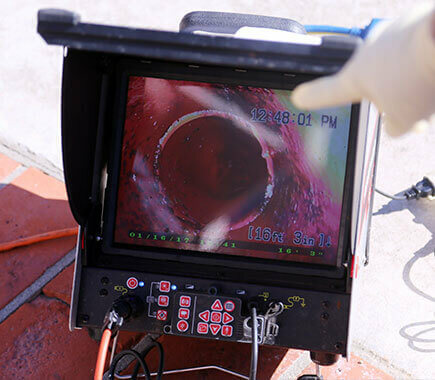 Our no-excavation repairs use the latest technology and equipment to re-line and repair cracked drainage pipes of all kinds without the need for excavation; saving up to 75% of the cost of drain excavation! The no-excavation repair system we use is a proven solution that places a new pipe within a current cracked or broken one; it requires no excavations so is a great way to save costs and time. Suitable for sewers, vertical rain water down pipes and any other pipes found in typical domestic or commercial property drainage systems the repair is highly resistant to temperature and chemicals. Call us today on 0800 781 8922 and we'll arrange your free property survey and no obligation quotation at your convenience. 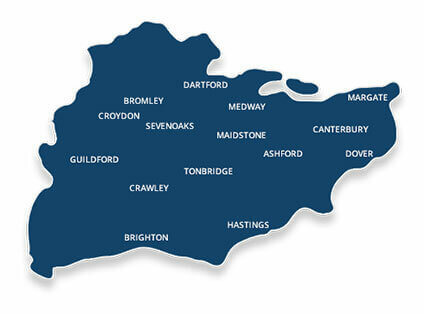 Working throughout Kent, London, Surrey, Sussex and the South East, including Margate, Orpington, Faversham, Medway, Maidstone, Canterbury and Ashford, we specialise in repairs for domestic and commercial clients. The no-excavation cracked drain repair system involves placing a completely new drainpipe inside the current pipe and sealing off breaks and cracks. How does a no dig drain repair work? The resin hardens into GRP (glass reinforced plastic), a very strong material of higher quality than the typical pipes it lines. The process is called inversion; using air to inflate the still liquid new pipe flush and firm to the old pipe where it bonds permanently in place after curing. The inflatable liner is a reusable system designed specifically for drain pipes and sized accordingly, ensuring an accurate finish every time, and allowing for different thicknesses of resin to be applied if required. Permanent structural repair; no relining required! We install no-excavation blocked drain repairs at domestic and commercial properties throughout London and Kent. Our experienced drainage experts have recently carried out projects for clients in Gillingham, Chatham, Rochester, Strood, Maidstone, Sidcup, Dartford, Gravesend, Sittingbourne, West Malling, Orpington, Bexley, Sheerness, Crayford, Sheppey, Margate, Herne Bay, Farnham, Guildford, Leatherhead, Woking, Ramsgate, Faversham, Crayford, London and Medway. 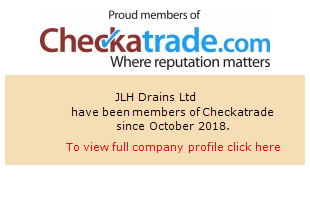 Get the least disruptive, lowest cost and most reliable emergency repair available on the drain market with JLH Drains; contact us today to arrange a no obligation survey and quotation with one of our blocked drain repairs and drain unblocking team.